What is an Overhead Garage Door? Most overhead garage doors open by sliding or folding from the bottom up and are suspended near the ceiling. An overhead garage door is a garage door that pulls up from the bottom, and, when open, remains over the top of the vehicle. This type of garage door is popular in both home and commercial garages. They make a good choice because they allow for an efficient use of space. If you need to add a garage door to your home, overhead garage doors are available in a variety of designs. They type that you choose will depend on a variety of factors. Fiberglass and wooden garage doors are typically considered the most attractive styles, but steel provides a heavy duty and maintenance free option. While aesthetics will certainly play a part in the decision on what type of overhead garage you choose, it is not the only factor. Garage doors are available either insulated or not insulated. If you live in a mild climate, the cost savings of an overhead garage door that is not insulated may make this an attractive choice. In more extreme climates, either cold or warm, an insulated garage door is a better choice. 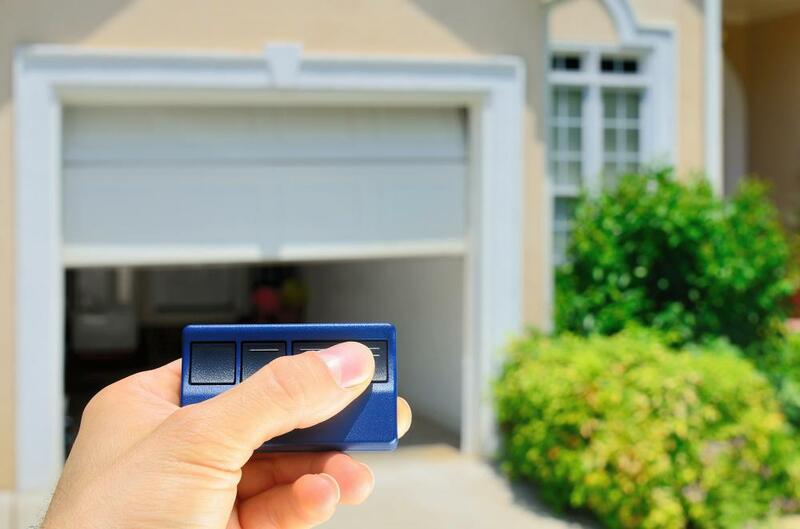 If your garage connects directly to your living space, an insulated garage door is a particularly good investment. The insulated door not only makes the garage more comfortable, but it will make your vehicle more comfortable, and, if directly connected to a living area, will prevent cold air from entering the home. Overhead garage doors are a popular style because when they are open they take up little room in the garage. The door itself runs on a streamlined track which does not require much room. The only area where an overhead garage door may suffer from lack of room is if the garage lacks much headspace. The overhead garage door must be high enough to clear your vehicle when you are parked in the garage, and it cannot touch the ceiling of the garage. If you have an automatic garage door opener, it is necessary to account for the room that this will take up as well. If your garage has a low ceiling, make some measurements before investing in an overhead garage door. You will need to know the height of the tallest vehicle you plan to park in the garage. Determine the difference between the height of the garage ceiling and the top of your vehicle. Now you have a number to take to the store when choosing your overhead garage door. What are the Different Types of Garage Workbenches? What are the Different Options for Garage Shelving? What are the Best Tips for Building a do-It-Yourself Garage? What are the Different Types of Garage Door Panel?